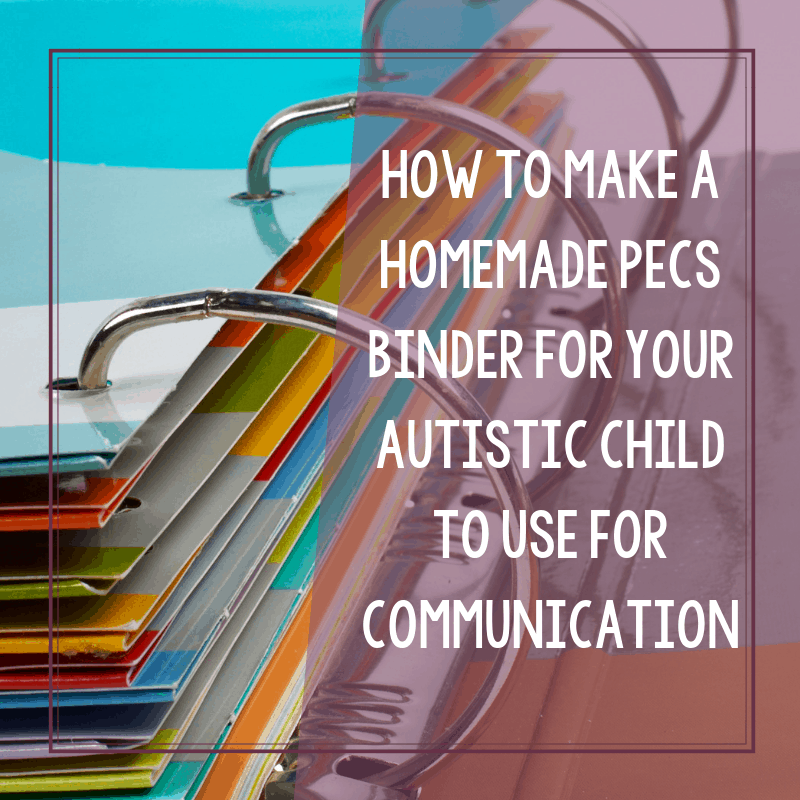 If you are looking to create a functional communication system for your autistic child at home, why not make a homemade PECS binder? You can use picture cards for autism printables to make a binder that your child take can with them and use at home. If your child has a speech or language delay, their speech therapist may have several suggestions for developing a functional communication system. One that can be used at home or at school, and independently or with assistance. 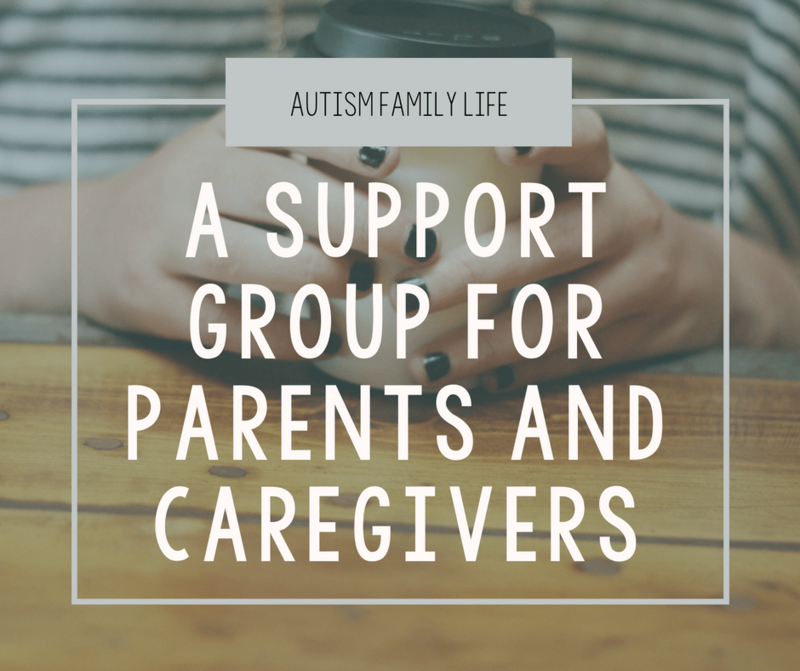 One that is more familiar in the autism and special needs community is PECS. But just how do you get started with PECS? And are they really that beneficial? When it comes to my non-verbal autistic child, the answer is a resounding yes. 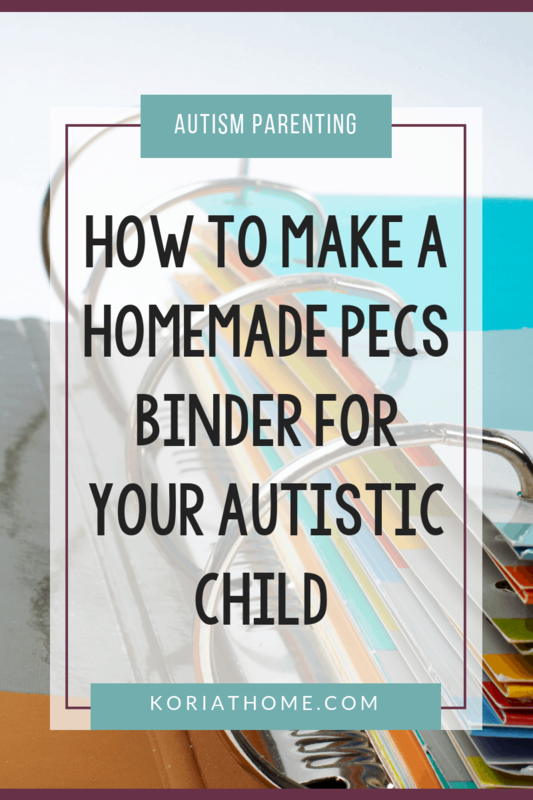 Here are a few tips for how to get started with PECS for your autistic child by making a homemade PECS binder. So first, let’s get those initials out of the way! PECS stands for Picture Exchange Communication System and was created (as it’s known in the PECS form) by Pyramid Educational Consultants. 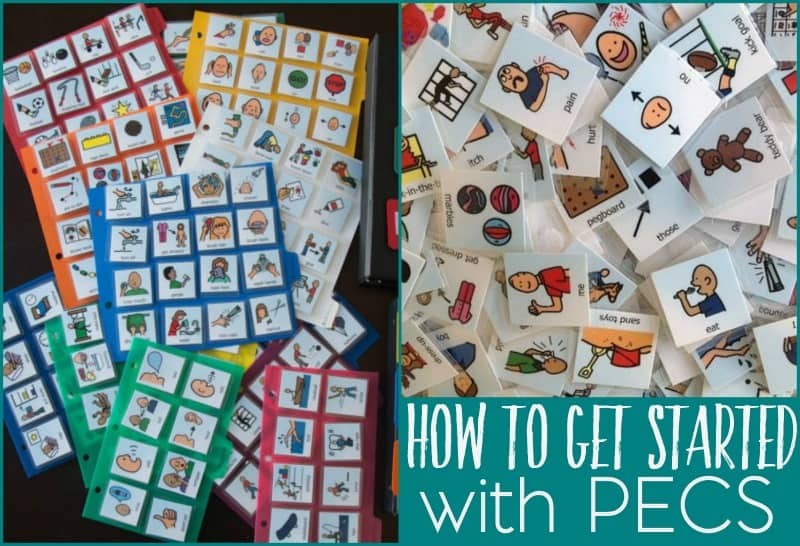 PECS was developed in 1985 as a unique augmentative/alternative communication intervention package for individuals with autism spectrum disorder and related developmental disabilities. PECS does not require complex or expensive materials. It was created with families, educators, and resident care providers in mind, so is readily used in a range of settings. Sweet B is up to Phase 6 in PECS and has been using PECS since she was about 3 years old. Her language was already heavily delayed and her SLP (Speech Language Pathologist) wanted to give her a form of communication that she could carry with her from school to home and home to school. She does use PECS pretty consistently at home and it’s her main form of communication at school. You can purchase PECS or speak with your child’s speech therapist to see if they might have a set that you can borrow for home use. Another option is to create your own PECS to use at home. Start by taking pictures of everyday items, objects, people, etc. Anything that your child uses or is in their life on a daily basis. You could create a sequence of pictures for setting the table, putting away dishes, making the bed or other simple chores. Bathroom and hygiene charts also work very well in terms of making a step-by-step PECS process. The printables in my Visual Schedule toolkit are ideal for this! 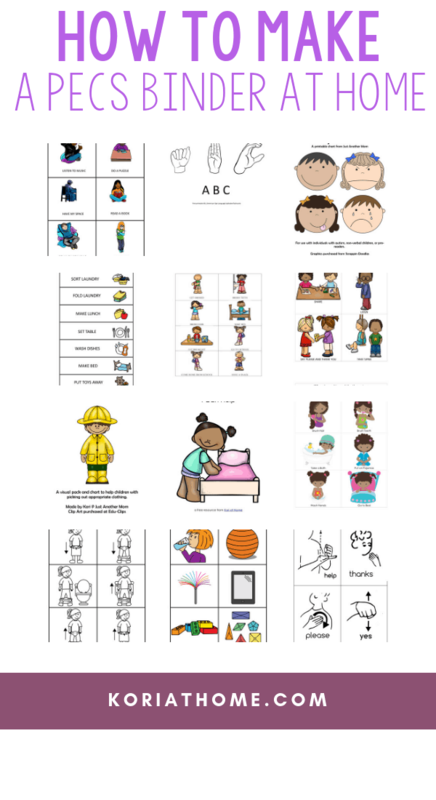 Other ideas and resources can be found on my free resources for families of autistic kids. This includes links to fellow bloggers who have created outstanding resources. If you’re looking to help with your child’s daily routine, I have a daily schedule printable pack along with a homeschool day and preschool day pack that may interest you and meet your needs. Another printable pack that may be of use, is my What to Wear printable pack. 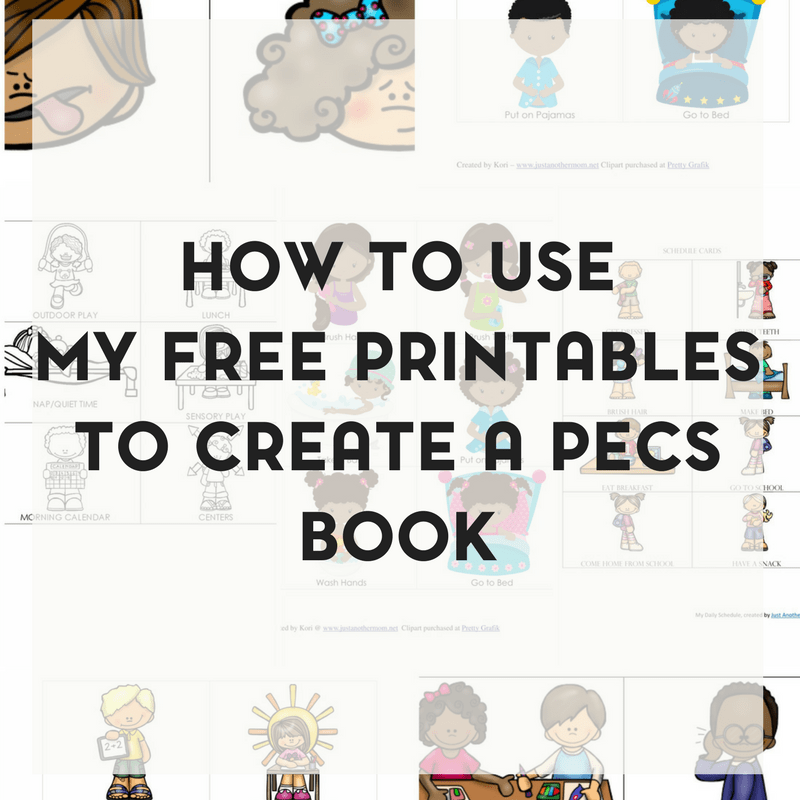 Homemade PECS, whether you use purchased clipart or take pictures, are just one way of getting started with using them as a form of communication. If you don’t use them in your binder all the time, you can also set up visual schedules around the house for specific tasks or routines. Another way to use homemade PECS is to prepare your child for an upcoming trip. For example, a trip to Sesame Place. I’m working on putting all of the files together in a zip file. 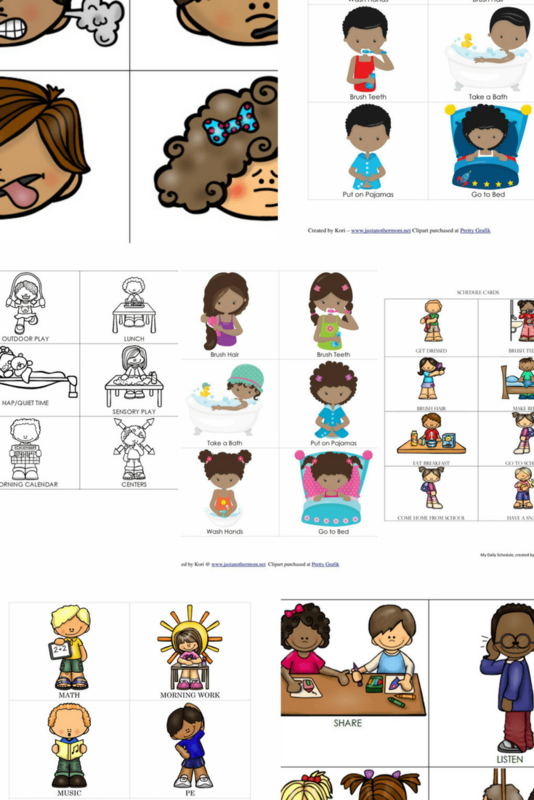 And I have them all listed on this page: Free Printables for Autistic Children and Their Families. And for Sweet B, PECS still remains her primary form of communication both at home and at school. For a non-verbal individual, PECS have been our choice. We’ve tried several other methods and we’re working on integrating technology via her iPad. Chances are likely that she’ll never speak and I’ve come to terms with that. We’ll still work on that, both at home and at school, and if she does start to speak- great. But if she doesn’t, I want to make sure that she has every means necessary to communicate. And for us, that meant getting started with PECS at an early age. For you and your child, that could mean something else. Take some time to explore your options independently. You can also ask your child’s teacher and your child’s speech therapist. What a great syatem to use to increase communication and limit frutration!! We used these with the children in the psychiatric facility I worked in and got great results! !